Have you heard the economy is down? The economy is down. Seems like casinos are turning to stunts these days. I'm not complaining, though. 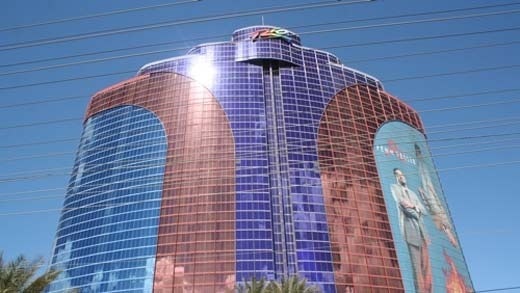 Todays stunt involves 100 people rappelling down the side of the Rio all-suite hotel. They're not atheletes. They're not people who have rapelled before. They're just a crowd of average Joes who weigh between 110 and 300 pounds, and want to raise money for the special olympics. Anyone who wants to watch a large crowd of regular people realize suddenly how high up they are and freak out, get to the Rio right now!